A recent study conducted by a team of Korean researchers at National University of Education has shown that, there are three kinds of white light shown beneficial to our brain. Neutral white light, at 4,500-5,500 Kelvin, such as midmornings or afternoons, has a positive effect on our ability to concentrate. Cool-white light, at 6,500-7,500 Kelvin, such as at noon, encourages brain activity. Warm-white light, at 2,500-3,500 Kelvin, such as in the early morning or evening, promotes ideas and inventiveness. 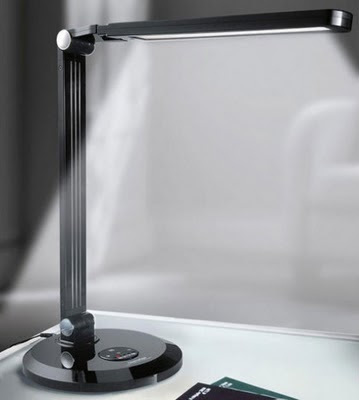 The Dynamic LED Lamp is designed with above white colors ranges to fit your working environment, and has a very durable life time up to 50,000 hours for its led. Other mentioned feature on The Dynamic LED lamp including the non-glaring light, that helpful to sooth your eyes with no flickering mechanism. The Dynamic LED Lamp consists of 28 white and 34 RGB LEDs that designed behind an opaque light guide panel instead of being exposed openly in the lamp head. This provides a widespread of softly diffused yet clear light in 3 adjustable light intensities, ranging from 600 up to a bright 1,400 Lux. You could adjust the lamp head in swivelling mode up to 270 degree, the lamp’s arm could be rotated up to 45-degree and tilted up to 60-degree. 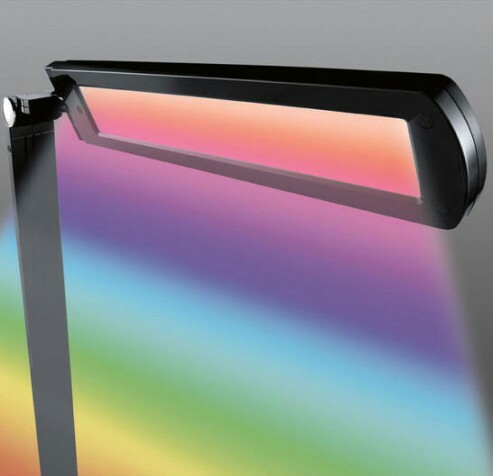 Optionally, you could also get a rainbow colors LED lamp. The Dynamic LED lamp has a dimension of 71.5cm (2ft3″) tall, 22cm (8 2⁄3″) for the lamp head long and 20cm (7 4⁄5″) for the base seat. For the cable, you will get 120cm (3ft9″) long. 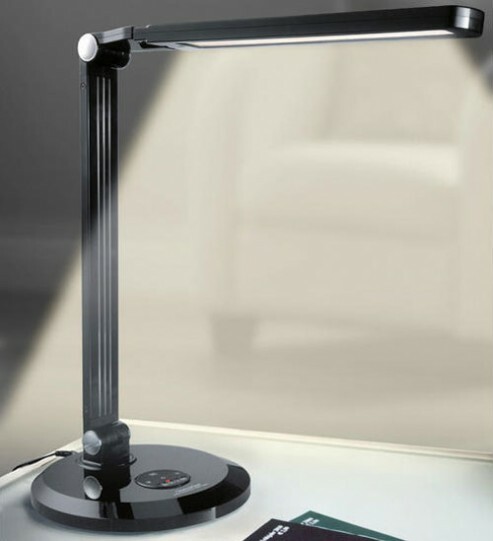 Dynamic LED lamp has a weight of 1,350g or approximately 2.9lbs and a 3 year guarantee from the merchant.